Harlem | Custom & Private New York Tours, Inc.
New York City’s largest neighborhood is rich in history, cultural significance and epic changes. We’ll venture down Striver’s Row and Astor Row. 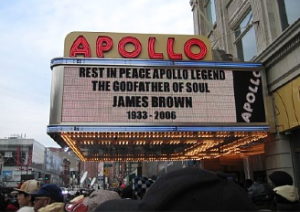 Let’s view the Apollo Theater and catch a glimpse of the Harlem of the future. The history of this fascinating historic neighborhood will break down your misconceived notions. What does the future hold for Harlem? “It’s not at all what you expect.” See where Khrushchev met Castro? You’ll hear about the phases of change over the years that have transformed Harlem, the center of African-American culture. It’s a fascinating story!